"Do you know the way to the dinosaur place?" I assumed he meant the natural history building, but I couldn't even remember the name of Philadelphia's natural history museum; haven't been there in over ten years. But I knew it was somewhere along the Parkway, near the Franklin Institute. "See that building straight ahead?" I asked him. "That's the Franklin Institute. The dinosaur place is near there on the left." And he thanked me and was on his way. When I had the chance to look it up later, it turned out I was pretty close and he should have had no trouble finding it. Oh, and it's called the Academy of Natural Sciences. Later, on my way back from the market, I came upon a woman standing at a curb waiting for the light to change. Before I could warn her, a car came barreling down the street, its left wheels strategically aimed at the water puddle directly in front of her, and she was drenched from head to foot. I had miscalculated too as the splash caught me just below the knees. It was a bigger puddle than I had expected. She jumped back, but not far enough, as a second car rolled along and gave her a another helping of street water. "They'll always find a way to get you," I said. That they do. 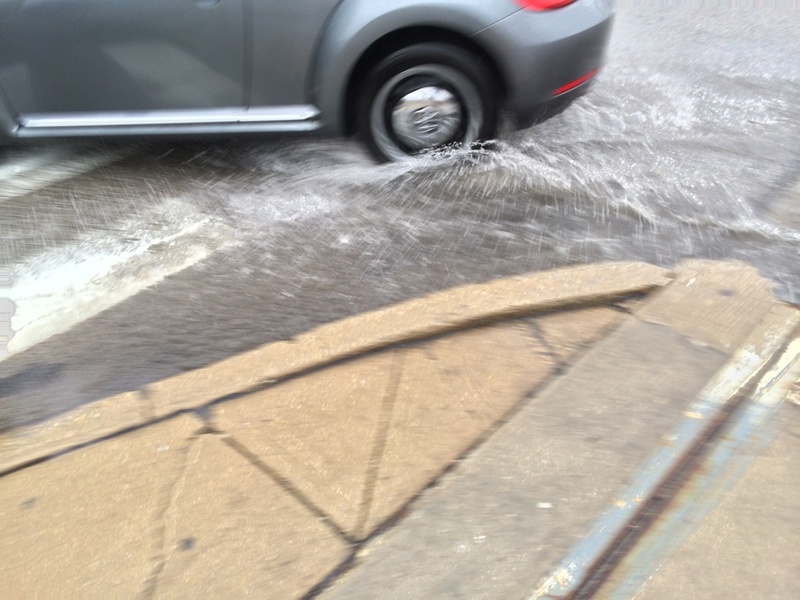 Say what you will about Philly drivers, when it comes to water puddles, they seldom miss. A different car and a different puddle.. So I had a little fun and edited together 13 of the videos of the Philadelphia Orchestra's Pop-up Concert. 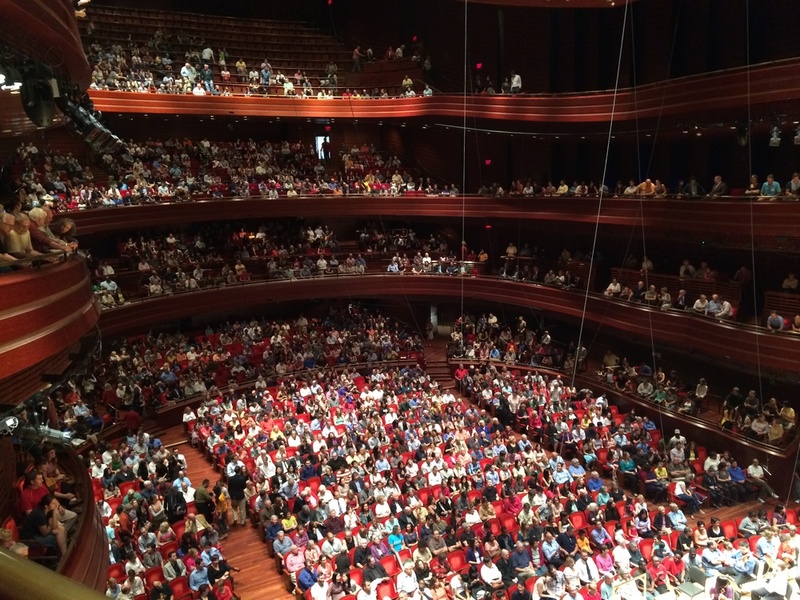 The Philadelphia Orchestra's opening night concert at Carnegie Hall was cancelled because of a stagehand strike, so Yannick Nézet-Séguin brought his musicians back to Philly for an informal, free concert at the Kimmel Center. The festivities began in the lobby where folks were invited to conduct some orchestra musicians in the opening bars of Mozart's Eine Kleine Nachtmusik, with the winner to have the chance to conduct the full orchestra during the actual concert. The concert itself was a subset of the program for Carnegie Hall, with things like Chaikovsky's Marche Slav and Ravel's Bolero. The winner of the conducting contest (pictured above) got to perform the rare and challenging William Tell Overture by Rossini. And there was even an encore, Chaikovsky's Polonaise from Eugene Onegin. Yannick encouraged the audience to record it and send it to social network sites. I decided to sit behind the orchestra so I could watch Nézet-Séguin's face as he conducted, and I discovered that I really like that location. The balance of the sound is a bit odd as you hear less of the cellos and basses, but otherwise the sound is terrific. I think I'll search out those seats in the future. This photo was taken before the Pop-up concert started, but by the end nearly every seat was filled. I've mostly enjoyed these last few months living near the Benjamin Franklin Parkway. It's a great central location in Center City, only a 15 minute walk to the Reading Terminal Market, etc. During the Independence Day celebrations, I even had a nice view of the fireworks right from my window. But I've been looking forward to a quiet Labor Day holiday. Unlike Independence Day, Philadelphia has no special connection to Labor Day, so many of the inhabitants spend the weekend down at the shore, leaving the city a virtual ghost town. For some reason ($$$, no doubt) Budweiser is trying to change that. Apparently this is the second year that they've sponsored the Made Deaf in America festival, the object of which seems to be to hasten the hearing loss of anyone who gets anywhere near the Parkway. Perhaps deaf people drink more Bud? According to the publicity, they've invited the best musical groups to perform. Someone named JZ picked each one. Anyway I question the selection of performing bands. Certainly not the best. There's no Beatles, for one thing. Not even any second tier groups like the Rolling Stones or The Band. Maybe they had better things to do. Then there's some group called Bee-Yawns, or Bay-Yahns, something like that. Never heard of them. I ran into one of my neighbors in the elevator yesterday after the "festivities" had started and asked if he could hear the music in his unit (which faces in a different direction). No, he couldn't, but he was planning to go out there shortly. He was surprised (maybe even impressed?) that I could hear the music in my place. Anyway, I did find a solution. 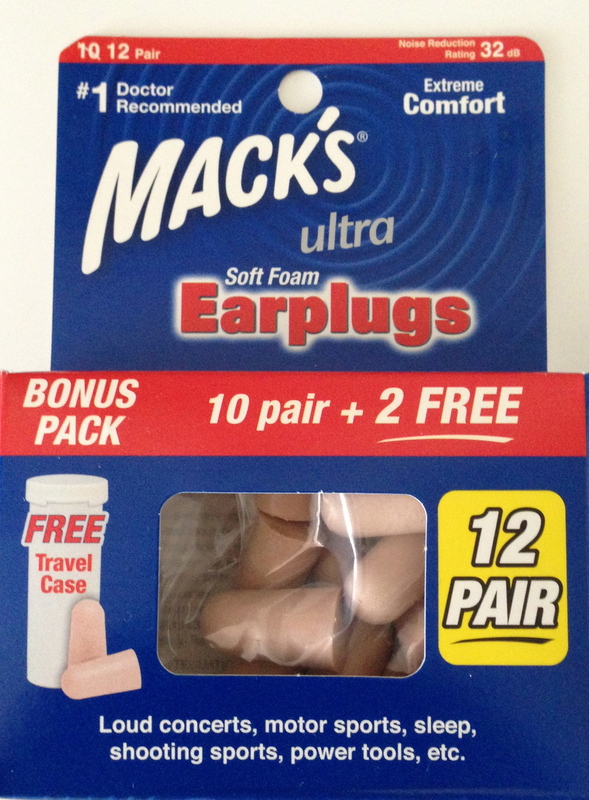 Mack's Ultra Ear Plugs, which reduce the noise by 32 decibels. That was enough to let me get a good night's sleep. I ran into my neighbor again this morning and told him that the ear plugs had worked. He didn't get home until after midnight, as he had stayed to hear the group Beyoncé--he pronounced it with three syllables, which seems a bit affected to me, but never mind. "Loud--and I wasn't even that close." I could have told him that. Anyway, I understand one of the purposes of this noise fest is to keep folks in the city for Labor Day. I think next year I'll make plans to visit Canada or some other cool spot for the weekend.